I love to add veggies and/or fruits to as many dishes as I can. It just makes it easier to consume the recommended daily amounts of fruits and vegetables. After many trials and errors, I found that pureeing my fruits and veggies was the easiest way to incorporate them into my dishes. This way my son, who has a thing with textures, would eat what I made without a fight. AND the easiest way is to have your pureed fruits and veggies ready whenever you need them. I found the idea and recipes for Make-Ahead Fruit and Veggie Purees in a cookbook called The Sneaky Chef: Simple Strategies for Hiding Healthy Foods in Kids’ Favorite Meals by Missy Chase Lapine. These are the two fruit and veggie purees that I use in my Chewy Multigrain Fruit and Veggie Bars. I have also included simple instructions for the date puree I use to sweeten my dishes in lieu of sugar, and how to make your own oatmeal flour. Making these purees is exactly like making baby food. (In a pinch, you could actually use jarred baby food purees. That’s why I make a bunch ahead of time to have on hand for my recipes.) I only use fruits, vegetables, and water. I don’t add any salt or preservatives. 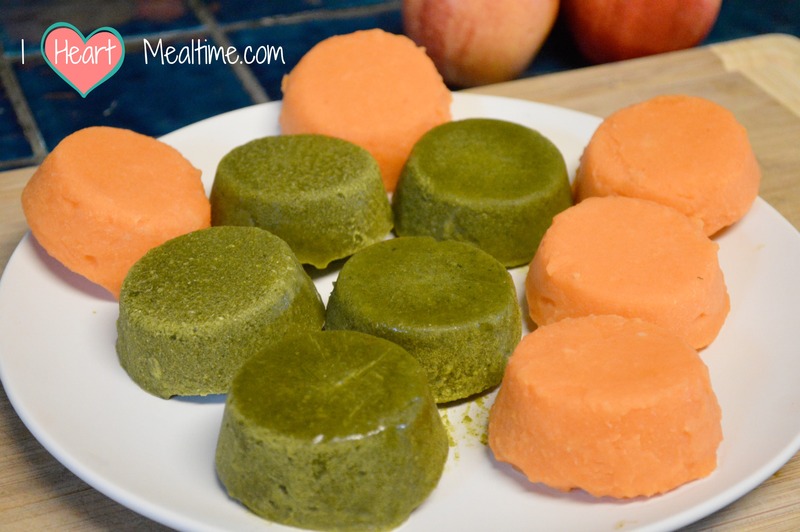 I use an orange puree and a green puree for my Chewy Multigrain Fruit and Veggie Bars. I start by peeling and chopping a large sweet potato and carrots into uniform chunks. I steam them with a steamer basket for at least 20 minutes, until the carrots and potatoes are tender. Then I drain and dump them in my Vitamix blender or food processor with a 2 to 3 tablespoons of water and puree until smooth. For the green puree, I steam chopped kale leaves, broccoli florets, and sweet peas for at least 20 minutes. Then I drain and dump them into the blender or food processor, with some water and lemon juice, and puree until smooth. Once all my purees are done, I spoon them into my muffin tin to make pre-portioned 1/4 cup servings. Then I freeze them for later use. Once the purees are frozen, I sit them in the sink with a half-inch of warm water to release them from my muffin tin. I turn them over and pop them onto a plate and stick them back in the freezer for another 30 more minutes. This re-freezes the bottoms of the “puree muffins” so they don’t stick together when you store them in the freezer. After that, I put them into plastic bags and store them in the freezer for later use. I love the idea of sweetening my dishes with whole foods, still close to their original form. 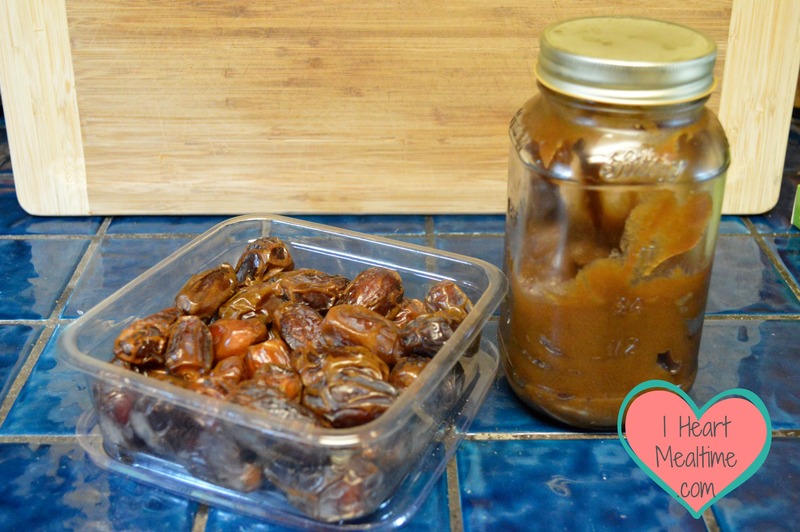 I found this great recipe for date paste at Green Thickies.com, and it fulfills my needs for a natural, healthier sweetener. I took 2 pounds of dried Medjool dates and removed the pits. I soaked them in 2 cups of water overnight. I drained the dates, but kept the water they were soaked in to add to the puree. It is easier to use a powerful blender like a Vitamix or Blendtec to turn the dates into a smooth puree, but you can use a food processor as well. I added the dates and 1 cup of the soak water to the blender and started to puree. My puree was still pretty thick, so I added an additional 1/4 cup of soak water to make thinner, but not runny. When it’s all done, you can store it in the fridge for at least a week or in the freezer for at least 3 months. I try to limit the amount of wheat that my family consumes. While we are not allergic to gluten or are gluten intolerant, my husband and I find that we just feel better when don’t eat wheat. So when I develop recipes for baked goods for my family, I try to use alternatives to wheat. Oats are gluten-free but they can get contaminated with gluten if they are processed with equipment that is also used for processing grains with gluten (like wheat). Also, oats can become contaminated if they are grown in fields next to wheat. If you are on a strict gluten-free diet, make sure that you use oats that are specifically labeled “gluten-free.” I found that oatmeal flour was very suitable for most of the recipes I was using. Wholegrain oats are a good source of soluble fiber, protein, and other nutrients. AND I found a huge bag of organic quick cooking steel-cut oats at Costco. 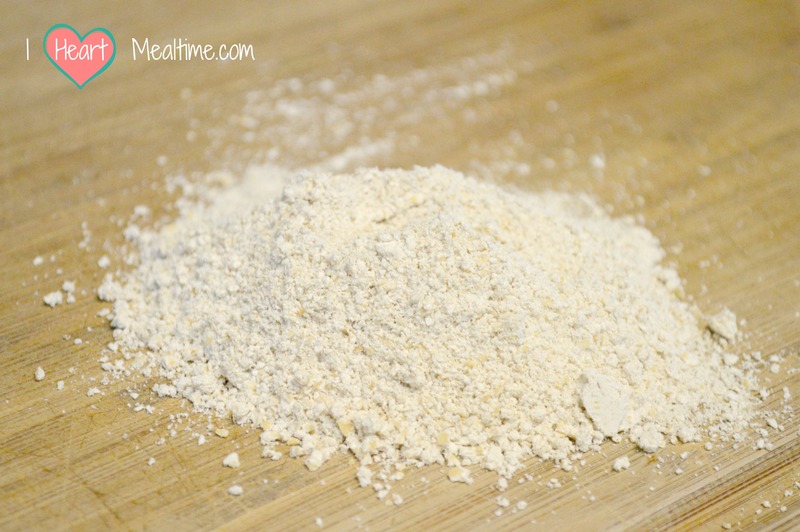 You can use steel-cut, stone ground, or rolled oats to make your oatmeal flour. Just make sure that what you are using is “quick cooking”, especially if it is steel-cut (Irish) or stone ground (Scottish) oats, because these need to be cooked before you can eat them. The best appliance I have found to use when grinding my oats into flour is my handy little Magic Bullet with the “spice grinder” blade. I think I got it for Christmas one year when I was in college. You can use a food processor, blender, spice grinder, or even a coffee grinder to make your flour. Just fill the container with your oatmeal, and grind until you get a fine powder. Then store it in an airtight container for up to 6 months. Having these purees and flour on hand is such a time saver! AND I know they are fresh and healthy because I made them myself! You can too. Enjoy! *If using raw spinach, thoroughly wash it, even if the package says "prewashed." Pour about 2 inches of water into a pot with a tight-fitting lid. Put a vegetable steamer basket into the pot, add the spinach and broccoli, and steam for about 10 minutes, until very tender. Add the frozen peas to the basket for the last 2 minutes of steaming. Drain. 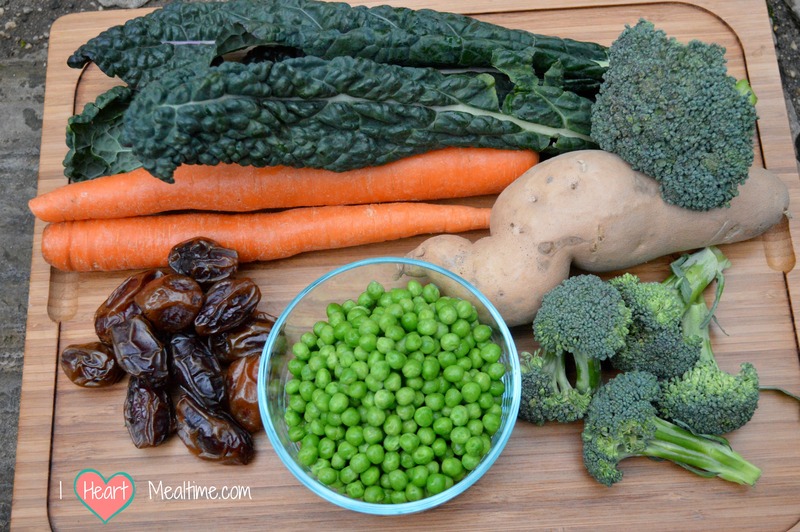 Place the vegetables in the bowl of your food processor along with 2 tablespoons of water. Puree on high until as smooth as possible. Stop occasionally to push the contents to the bottom. If necessary, use another tablespoon of water to smooth out the puree. I prefer raw baby spinach to frozen spinach for this recipe (more mild flavor); if you must use frozen spinach, only use 1 cup of it. In a medium pot with a steamer basket, add the carrots and potatoes and steam for about 20 minutes until yams, and especially the carrots, are very tender. If the carrots aren't thoroughly cooked, they'll leave telltale little nuggets of vegetables, which will reveal their presence (a gigantic NO-NO for the sneaky chef). Drain the potatoes and carrots and put them in the bowl of food processor with two tablespoons of water. Puree on high until smooth; no pieces of carrots or potatoes should remain. Stop occasionally to push the contents from the top to the bottom. If necessary, use the third tablespoon of water to make a smooth puree, but the less water the better. If you don't have a steamer basket you may boil the carrots and potatoes for 20 minutes. Add the dates and just enough water to blend the dates until smooth. Start with 1 cup of the reserved date soaking water.